Jean Perret Montres is located in Geneva, Switzerland and has maintained its independence in an increasingly monolithic industry. 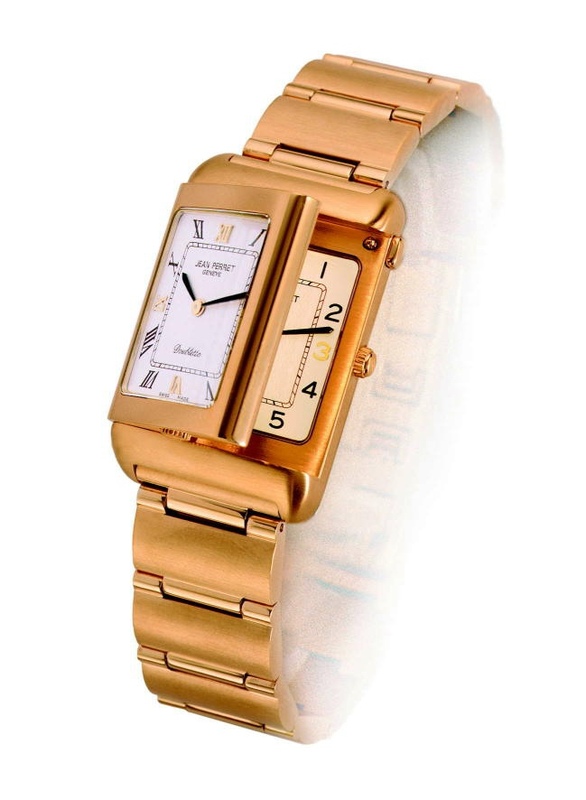 Owned by the Buser family of Switzerland, it has for over 100 years manufactured medium-tiered watches. All Jean Perret watches are manufactured in Switzerland. springs open 30 degrees to reveal a second timepiece. Both movements are powered by ETA quartz ebauches. The case is available in steel or in PVD gold-plated steel. The watch is fitted with a sapphire crystal and is water-resistant to 30 meters. MSRP starts at 800 Euros.